Democrats are finally learning to fight like Republicans. Their inauguration boycott is delegitimizing Donald Trump. 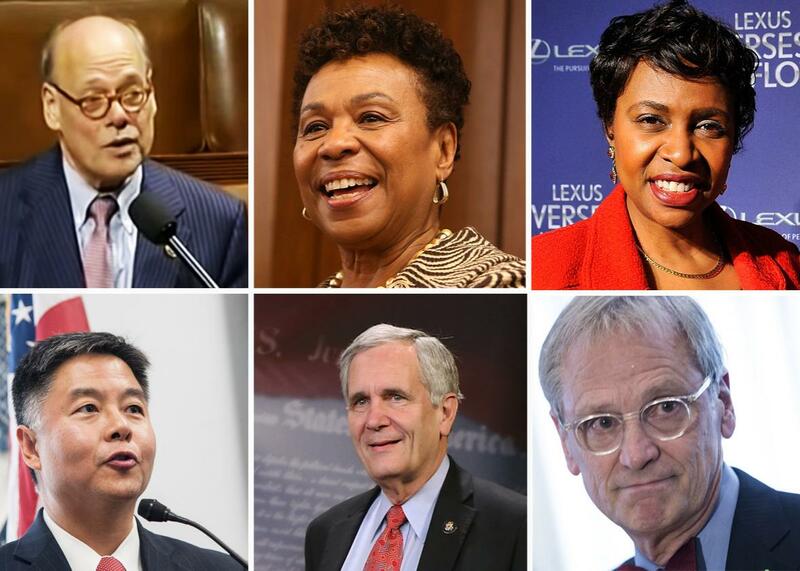 Steve Cohen, Barbara Lee, Yvette Clarke, Ted Lieu, Lloyd Doggett, and Earl Blumenauer. This argument has a surface logic, but it depends on ignoring the underlying facts. Trump threatened to call the election results into question based on fantasies about voter fraud. Democrats are questioning the results based upon the findings of America’s 17 intelligence agencies. Trump attacked Obama’s claim to the presidency with racist lies about his nationality. Democrats are attacking Trump’s by demanding the truth about his financial holdings. “If our 17 intelligence agencies had a high confidence that Barack Obama faked his birth certificate, absolutely there would have been a huge legitimacy crisis,” Lieu says wryly. It’s not clear that the defiant posture will last. Doggett predicts that during the inauguration, Trump will offer a few conciliatory remarks about bringing the country together. “I’m confident that there will be some fawning comments about how he’s finally beginning to act presidential, and let’s come together for the good of the country,” Doggett says. The pressure on Democrats to collaborate with Trump could become intense. “I’m hopeful, but we’re very early in the process, and there’s no doubt that there’s a big corporocrat section of our caucus,” he says.